There are many debates about what is good for your health and happiness vs. what is good for the environment. Luckily when it comes to your home, hardwood flooring is good for both you and the environment. All types of hardwood flooring are more beneficial to your health than carpeting for a multitude of reasons. Bamboo: Bamboo is a renewable resource that grows faster than any other hard, woody plant in the world. The average speed of growth is about an inch an hour, and some species grow at twice that speed. It is extremely easy to clean, and is a great material to use if you are concerned about protecting the environment. Cork: Cork is a great alternative for anyone with feet, leg, back, or joint issues. The softer material is gentle on the body and is soft underfoot. Its anti-microbial nature keeps your family safe from the breeding grounds of bacteria. Since it is normally used from what would otherwise be waste from bottle stopper manufacturing, it is a recycled material. Even better, it originates from the bark of trees without harming them at all. All types of hardwood materials are better for your health than carpeting. Many people think that carpets create a cozier environment for their family, but they do not realize how cozy of an environment they are creating for allergens and dust mites, as well. Many rooms with wall-to-wall carpeting have a dangerously high number of dust mites thriving just below the surface that emit an unhealthy amount of allergens. 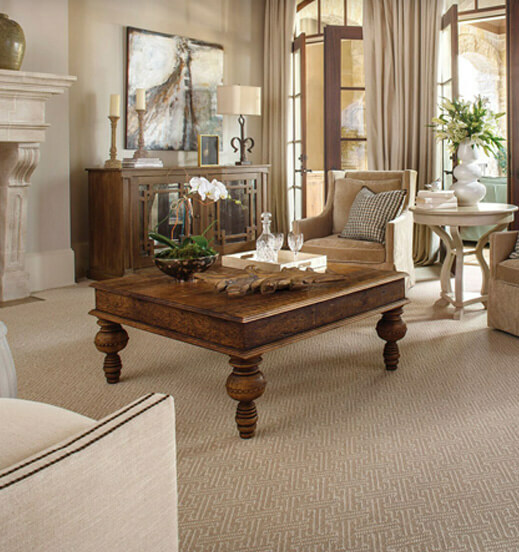 Carpets are also much dustier, and can trap bacteria in their hard-to-clean fibers. Hardwood flooring is very easy to clean, and with care, can last decades longer than any type of carpeting. You do not have to worry about food or beverage stains, or getting your floor professionally cleaned. If you have infants or small children around the house, there is no way to know for sure that the germs and bacteria trapped in a carpet will not harm them. Hardwood floors are much safer and can be easily cleaned on a daily basis without harm. The more you vacuum or shampoo a carpet, the faster it deteriorates. The chemicals used to manufacture carpets can be very toxic and the amount of plastic used is extremely harmful to the environment. Since hardwood floors are a natural product, the chemical emissions are very low, and since they last much longer than carpeting, the production energy in the long run is much lower. If you consider the value of your home, carpets are often replaced by new owners, or require replacement before selling the home. Hardwood flooring is the only way to increase the value of your home, whether you hope to sell it or not. The cleanliness, combined with the renewable resources, and fewer chemicals required in manufacturing guarantee a healthier, happier home and environment for all of us for years to come.